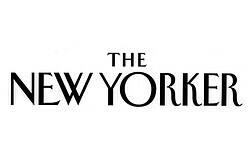 New Yorker's Goings On About Town section highlights The Crossing's September 29 performance at Peak Performances. The program, "The National Anthems", features works by David Lang, Ted Hearne, and Caroline Shaw. "Hard on the heels of a sold-out Park Avenue Armory engagement, the splendid Philadelphia vocal ensemble the Crossing offers a timely consideration of nationalism, sexual trespass, and global migration. The program, to be presented in Montclair, New Jersey, takes its name from a work by David Lang, a patchwork of phrases excerpted from almost two hundred anthems, which together suggest a universal posture of insecurity masked with bravado. The piece will be sung alongside Ted Hearne’s provocative 'Consent' and Caroline Shaw’s disquieting 'To the Hands.'"